DEATH OF THE DUKE OF CLEVELAND. His Grace the Duke of Cleveland passed peacefully away, at his London residence, 17, St. James’s Square, at ten minutes past eleven last night, after an illness of a little over three weeks. For some time past it was evident to those in daily personal contact with the Duke that his health was beginning to fail; but it was not until a few weeks ago that the symptoms became alarming. Arrangements had been made for the Duchess to visit Raby Castle for a few days, commencing on the 1st August, but on the day prior to her projected departure from London the Duke became so much worse that Her Grace relinquished her visit to Raby, and remained at the London residence. The Duke was in the hands of skilful physicians, and all that human skill could do to arrest the impending dissolution was done, but the great age of the illustrious patient rendered it impossible for him to rally. He grew weaker and weaker day by day, and on Thursday and yesterday he was unable to take any nourishment whatever. The end came soon after eleven last night, and full of years and honours the Duke of Cleveland breathed his last. Harry George Powlett, fourth duke, succeeded on September 6th, 1864, his brother, William John Frederick, to the titles of Duke and Marquis of Cleveland, Earl of Darlington, Viscount and Baron Barnard of Barnard Castle, and Baron Raby of Raby Castle. He was born on April 19th, 1803, and was accordingly in his 89th year. He was educated at Oriel College, Oxford, and took the degree of B.A. of Oxford on February 19th, 1829, was created D.O.L. of Oxford on June 21st, 1876, and D.O.L. of Durham on June 27th, 1889. From 1837 to 1864 he was known by the style of Lord Harry Vane, but two months after succeeding to the dukedom he took his mother’s name of Powlett in __ of his patronymic Vane. On February 26th, 1820, he was appointed attach� of the Embassy at Paris, and on July 3rd, 1839, he became Secretary of the Legation at Stockholm. In 1841 he was elected Liberal M.P. for South Durham, and was re-elected in 1847, 1852, and 1857, continuing to represent the constituency until 1859, when he retired in favour of his brother’s nominee, Mr. James Farrar, and afterwards sat from 1859 to 1864 as member for the borough of Hastings. He was gazetted honorary colonel of the 4th Durham Battalion of Rifle Volunteers on November 5th, 1864, was made a K.G. on April 10th, 1863, and appointed First Commissioner to inquire into property held by the Universities of Oxford and Cambridge on January 6th, 1872. He married on August 2nd, 1854, Catherine Lacy Wilhelmina (Stanhope) Dowager Lady Dalmeny. The Cleveland estates in this district are by far the most extensive in England, stretching northwards from Darlington to the borders of Westmoreland, a distance of about 80 miles without a break in the estate. Amongst his tenantry the late Duke was extremely popular, as he showed himself a most generous and considerate landlord; and twice, in times of agricultural depression, returned his tenants 50 percent of their rent, besides making permanent reductions all round. The tenants firmly believed that in any case in which they required a reasonable concession they were sure to obtain it if they could manage to see His Grace in person; but of late years he was somewhat difficult to approach. Up to within the last year or two it was his annual custom to reside at Raby for a few months, generally from about August until the end of November. His affection for landed property was so deeply rooted that he would never part with an acre, but took advantage of numerous opportunities to acquire any farms which adjoined his estates. In this way he a few years ago bought the Danton Estate, which is now the biggest farm on the Raby property, being upwards of 1,000 acres in extent. Similarly Battle Abbey, near Hastings, came into his possession, and was ever after his favourite residence. In the grounds of the Abbey is to be seen the brass plate marking the spot where Harold fell. It is worthy of notice that about three years ago the Duchess issued into book form “The Roll of Battle Abbey,” which she had written after the estate came into His Grace’s possession. His Grace always led a most careful and abstemious life. He seldom took any wine except a little diluted claret, was very temperate in eating, and was at no times given to either horse-racing or gambling of any kind. He did not hunt, and the only outdoor sport he seemed to follow with pleasure was shooting. As a young man he was very careful in his expenditure, and in late years he used to remark that his father allowed him �100 a year for pocket money, and he managed to save money out of it. Notwithstanding a lavish expenditure on land, His Grace must have been one of the riches men in England at the time of his death. His predecessor and brother left personalty valued at �800,000, but it is expected that the late Duke’s personalty will be greatly in excess of that. Besides the estates already mentioned the Duke’s estate includes a great number of lease-hold property in Bath, and as the leases are to expire very shortly the value of this property will be enormously increased. His immense wealth is in no slight degree due to the development of the estates by the railway system, which was so vigorously opposed by his father, the first Duke. The Duke’s munificence in church and educational matters was almost unbounded. As patron of twenty-two livings in the Church of England the calls on his bounty in these respects were frequent, and in general he responded ___ readily. At the instance of Lady Milbank, his niece, he gave �500 towards the church at Barningham, and the greater part of the expense of repairing Staindrop Church was defrayed by His Grace. In making provision for the education of the children on all his estates his generosity was severely taxed. On most of his estates he built schools for the education of the younger members of the population, and afterwards contributed handsomely towards their maintenance. Both the National and the Infants’ Schools at Staindrop were erected by him, and he was accustomed to augment the amount received by the schoolmaster in fees and Government grants. Allusion was made in a very marked manner to the great improvements made by the Duke on his Teesdale property, at the banquet given to Mr. Scarth at Staindrop in January last. Owing to the liberality of the Duke what in the district of Upper Teesdale had been a deer forest or a sheep walk had been converted into a highly cultivated district, parceled out into little farm holding and studded with small but comfortable residences, occupied chiefly by a mining population, who but for those advantages would have to spend the best part of their lives in the bowels of the earth. The extensive district now produced stock of an excellent quality and afforded the miners an occupation which tended greatly to improve their health and prolong their lives. Col. Watson, by whom the above statement was made, said he was sure there would be no greater memorial to His Grace than that conversion of Upper Teesdale, and the blessings he had conferred upon the district by the lavish yet judicious expenditure of his large revenues in improving that part of his estates. Further, he was sure there was a feeling of gratitude on the part of the Dukes’ tenantry for the improvements in every part of the estates and for the allowances he had made in times of agricultural distress, and the great kindness and consideration he had always shown to the tenantry and labourers on the estate. Mr. W. T. Scarth, the Dukes’ agent, also testified to His Grace’s liberality and desire to see all connected with the estate either as tenants or labourers or in any other capacity provided for the prospering. It must be a pride to all connect with the Duke of Cleveland’s property to see that though a number had in various occupations removed from the localities in which they were born, there were still upon the estate hereditary tenants. He could refer to a rental of 1614, where he found a great many names at the same houses, and there had always been a feeling, which he hoped would continue to exist, that the Duke of Cleveland and his tenants generally were one family. 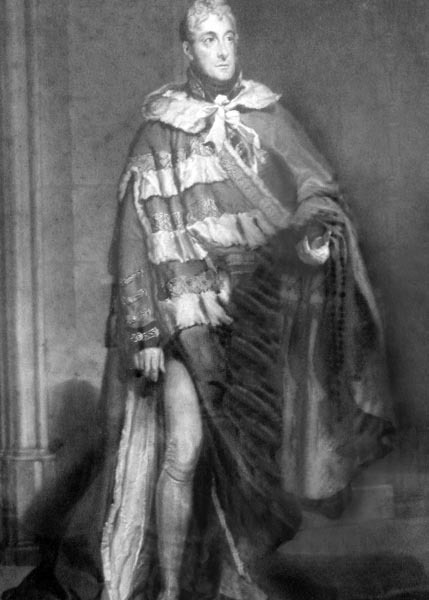 The late Duke, prior to his succession to the title, sat in Parliament as member for South Durham for the 18 years between 1841 and 1859, when his brother, the then Duke Henry, who was a Tory, brought forward as his nominee Mr. James Farrar, and rather than oppose the man of his brother’s choice he evaded a contest and not for the pocket borough of Hastings from 1859 to 1864, when he became the fourth Duke of Cleveland. It was very generally believed at the time that had he elected to contest the seat he and his colleague, the late Mr. Henry Pease, would have been returned by a large majority. For generations the Vane family had been representatives of Durham in Parliament, where the family influence was enormous owing to the great number of pocket boroughs it possessed. In 1832, however, the late Duke’s father, as a Whig, pronounced for the Reform Bill, though by so doing he forfeited his boroughs; but his reward came subsequently when the Dukedom of Cleveland was revived in his favour, he up to that time having been Marquis of Cleveland. In politics he was a sound Liberal, and for many years of his Parliamentary career was Chairman of Committee in the House of Commons, a position which he filled so efficiently as to obtain and retain the perfect confidence of men on both sides of the House. The Duke of Cleveland in 1879 owned land in nine counties as follows: - Durham, 55,837 acres; Salop, 25,604; Sussex, 6,025; Somerset, 4,784; Northampton, 3,482; Kent, 2,440; Cornwall, 1,997; Wilts, 1,511; Devon, 1,085 – total: 102,774 acres, with a rent-roll of �91,784. To him belonged Raby Castle, Durham, one of the most stately, ancient mansions in the North of England, and the hoary ruin of Barnard Castle. Raby Castle, the Durham ancestral seat of the late Duke, “is a noble pile of stately towers, retaining all the appearance of antiquity and giving the most perfect idea of a great baron’s palace in feudal ages.” It stands on a rocky brazened wall, together with the deep ___, where it is supposed there anciently stood Canute’s mansion, which he gave to the Church of Durham, along with Staindrop and its other appendages. It is a massive Gothic structure uninjured in its pristine appearance, all the modern repairs and ad additions being made in unison with the general taste of the edifice. The south front is very beautiful, and the style and proportion of its windows are truly elegant. The apartments are very numerous and more modern in their disposition and proportions than many would suppose possible within the strong embattled walls of an ancient building; but by means of numerous passages and closets, many of which have been scooped out of the walls and back staircases, the rooms are extremely convenient, well connected, and at the same time perfectly distinct. On of the drawing rooms is 30 feet by 20,and the adjoining dining room is 51 by 21, with plate glass windows set in light brass frames. The great ball, or “rendezvous apartment,” is 120 feet long by 36 broad, being lengthened 30 feet in the latter half of last century, and is terminated by a circular tower. Here assembled, in the time of the Neville’s, 700 knights who held of that family. The west end of this room is crossed by a gallery, which in ancient times was used for “music and that mimicry” with which our ancestors were so much “pleased.” The different towers are said to have received their names from the distinguished persons to whom during the periods of civil war and Scottich incursions they were consigned to be defended or garrisoned. There are many good pictures in the castle, and amongst the sculpture is Power’s famous “Greek Slave,” purchased by a former duke. In the dining room in Clifford’s tower is a large music-piece containing the group of figures which Rubeus placed in the center of the marriage feast of Canaan, in which he disposed his own portrait as a chief musician, with his contemporaries as performers. There are also in this room, and in other parts of the castle, many excellent portraits of parsonages connected with the present family. A great part of the castle was built by John de Nevell, to whom Bishop Hatfield in 1379 granted license to castellate and fortify the same. After the forfeiture of the estates in 1570 by Charles, the sixth Earl of Westmoreland, the property continued in the Crown during the reign of Elizabeth, and descending to King James I, he caused an inquisition to be taken of the manor and castle of Raby, with their appendages, and they passed by grant to certain citizens of London, in trust, to be sold, under which they were purchased by an ancestor of the late Duke. The Duke’s favourite seat was Battle Abbey, near Hastings, in Sussex, and here he spent the greater portion of each year since he acquired the historic estate. The establishment was originally designed on a vast scale, the immediate precincts of the Abbey being a mile in circuit, and the buildings themselves of corresponding magnificence. King William intended it for 140 monks, but his death prevented the completion of his design. He settled here, however, a considerable body from the Benedictine Monastery of Marmentier, in Normandy. The site of the abbey at the Dissolution was granted in one Gilmer, who, after pulling down many of the buildings for the materials, sold the remainder with the estate, to Dir Anthony Browne, K.G., whose descendants converted a portion of the edifice into a dwelling house. This was afterwards enlarged by the Websters, who, early in the last century, purchased the estate of Anthony Browne, Viscount Montague, and made it their chief ___. The abbey was mostly rebuilt in the times of the later Henrys, and formed a vast quadrangle. The grand entrance gateway is the most perfect part now remaining: it is square, embattled, with octagonal turrets at each angle, and has in front a series of pointed arches and pilasters; the roof has been destroyed. Some remains of the monastic offices, with square windows and embattled parapets adjoin the entrance. The abbey church has also been destroyed; but parts of the cloister arches remain, as do the ruins of the monk’s refectory, with its detached hall, no used as a barn of great extent, in which it is supposed the tenants of the Abbey were entertained. The hall has twelve long pointed windows on one side and six on the other. Beneath is a crypt curiously vaulted, with elegant pillars and arches. Several great vaults remain, in which the provision and fuel of this splendid foundation were once stored. here was formerly preserved the Roll of Battle Abbey, believed to be a list of those eminent persons who accompanied the Conqueror to England, with other lords and men of account, and which list was prepared by the monks, that perpetual prayers might be offered for them, and especially for those who were slain in the battle. From the days of the Stuarts the Vanes, from whom His Grace was descended, could be reckoned among our great houses. They have accumulated about 100,000 acres in less than 300 years. The pedigree of the Vanes claims that they originally came from the borders of Wales, but at the earliest time of which anything definite is known of them (Henry XI), Henry Vane held the Manor of Hilden, in Kent. At the beginning of the Reformation the Vanes were plain Kentish squires, and zealous supporters of the Reformed Faith. Sir Ralph, the son of Henry Vane, obtained a considerable grant of lands at Shipbourne, in Kent, formerly belonging to the monasteries of Tunbridge and Dartford. Sir Ralph was one of the entourage of the Protector Somerset. Sharing in his prosperity, he shared likewise in his fall, and was finally hanged upon Tower Hill. His lands passed to a kinsman, who narrowly escaped a similar fate for his share in Wyatt’s rebellion. The next heir of the property was the real builder of the fortunes, if not of the greatness, of the house. Throughout the history of James I and Charles I the name of Sir Henry Vane often occurs though his fame was altogether obscured by that of his illustrious son. He was a successful courtier, and rose to be a great landowner. In the reign of James I Vane was appointed ____ to the Prince of Wales; after the ___ of Charles he was Comptroller of the Household, and subsequently Secretary of State. It was to this Vane that a grant was made in trust for the Prince of Wales of the Neville estates in Shrepshire and Durham. (Raby, Barnard Castle, and Branespath) after the Earl of Westmoreland had lost them by ____. In 1626 he obtained the reversion in fee for �1,500 fine, to be held in ___ under �51 10s rent. Towards the close of his life this Vane supported the Parliamentary party owing to the influence of his son, the Vane “young in years, but in sage counsel old,” of Milton’s sonnet. Of the younger Vane it is needless to speak at length. There is hardly one of the heroes of the Commonwealth that has so stairless a record. The man whom Milton praised, whom Cromwell feared, whom Charles II dared not allow to live, needs no eulogy. He had been appointed Treasurer of the Navy, and is said to have relinquished profits of �30,00 per annual for the benefit of the commonwealth. Of all the leading Republicans of that age Vane was the most consistent, the most philosophic, the most statesmanlike. He was the only man who died upon the scaffold for his share in the great rebellion who was no actually a regicide, and he was executed because, as Charles II wrote, he was “too dangerous a man to live if we can honestly put him out of the way.” Sir Christopher Vane, son of the great Sir Henry, was knighted by Charles II, and created a peer by William III., with the title of Baron Barnard. He married the sister and co-heir of John ___, Duke of Newcastle. The third Lord Barnard, who married the daughter of the Duke of Cleveland, son of Charles II., held the lucrative office of paymaster of the forces and gained two steps in the peerage by his elevation to the Earldom of Darlington in 1734. The third Earl of Darlington, father of the lat Duke, who was created Marquis of Cleveland in 1827, was one of those wise and statesmanlike nobles who so largely sided in saving the country from a revolution half a century ago, and rendered considerable service in connection with the passing of the Reform Bill. The year after the bill passed his conduct was appropriately recognized by the Reform Ministry by his elevation to the Dukedom of Cleveland. He married the daughter and co-heir of Powlett, the last Duke of Bolton. The Powletts were a family who grew right out of the spoils of the monastic houses. That portion of the Bolton estate which came to the family was inherited by a younger son, who ultimately succeeded to the Dukedom of Cleveland, but he died shortly after, and the dukedom and estates came into the possession of his younger brother, the late Duke. In default of an heir in the direct line the titles of Duke and Marquis of Cleveland, Earl of Darlington, Viscount Barnard, and Baron Raby will lapse, but the title of Baron Barnard of Barnard Castle and Baron Raby of Raby Castle will descend to Henry de Vere Vane, great grandson of Morgan Vane, son of the Hon. Morgan Vane, who was the second son of the second Baron Barnard. Mr. Henry de Vere Vane the heir to this title was born in 1854, and is consequently 37 years of age. He was educated at Eton and Brasenose College, Oxford, where he took his B.A. degree in 1876, and was called to the Bar at the Inner Temple in 1879. He married in 1881 Lady Catherine Sarah Cecil, daughter of the Marquis of Exeter, and has issue Henry Cecil, born in 1882. He now holds an appointment in the office of the Charity Commissioners. The remains of the late Duke will be placed in the family mausoleum at the north of Staindrop Church. Within the church and the mausoleum are deposited the remains of the many members of the Vane family, and is the chancel of the church is a splendid marble monument, by ____, of William Harry Vane, first Duke of Cleveland and father of the late Duke, who was his younger son, and is the last of a family of eight. of his real and personal estate for realization and investment in trust as to one moiety thereof to pay the income during his life to his great-nephew Arthur William Henry Hay, and after his death the capital and income shall be held in trust for all or such one or more of his children or remote issue as he shall appoint, or in default of appointment, for all his children in equal shares; and as to the other moiety of the residuary estate upon like trusts in favour of his great-nephew. Powlett Charles John Milbank, second son of Sir Frederick ____ Milbank..